Self-organisation and self-governance offer an effective approach to resolving collective action problems in multi-agent systems, such as fair and sustainable resource allocation. Nevertheless, self-governing systems which allow unrestricted and unsupervised self-modification expose themselves to several risks, including the Suber’s paradox of self-amendment (rules specify their own amendment) and Michel’s iron law of oligarchy (that the system will inevitably be taken over by a small clique and be run for its own benefit, rather than in the collective interest). This talk will present an algorithmic approach to resisting both the paradox and the iron law, based on the idea of interactional justice derived from sociology, and legal and organizational theory. The process of interactional justice operationalised in this talk uses opinion formation over a social network with respect to a shared set of congruent values, to transform a set of individual, subjective self-assessments into a collective, relative, aggregated assessment. Using multi-agent simulation, we present some experimental results about detecting and resisting cliques. We conclude with a discussion of some implications concerning institutional reformation and stability, ownership of the means of coordination, and knowledge management processes in ‘democratic’ systems. 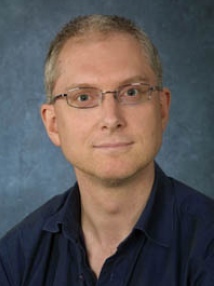 Jeremy Pitt is Professor of Intelligent and Self-Organising Systems in the Department of Electrical & Electronic Engineering at Imperial College London, where he is also Deputy Head of the Intelligent Systems & Networks Group. His research interests focus on developing formal models of social processes using computational logic, and their application in self-organising multi-agent systems, for example fair and sustainable common-pool resource management in ad hoc and sensor network. He also has strong interests in human-computer interaction, socio-technical systems, and the social impact of technology; with regard to the latter he has edited two books, This Pervasive Day (IC Press, 2012) and The Computer After Me (IC Press, 2014). He has been an investigator on more than 30 national and European research projects and has published more than 150 articles in journals and conferences. He is a Senior Member of the ACM, a Fellow of the BCS, and a Fellow of the IET; he is also an Associate Editor of ACM Transactions on Autonomous and Adaptive Systems and an Associate Editor of IEEE Technology and Society Magazine.